Triple-strand bohemian bracelet. 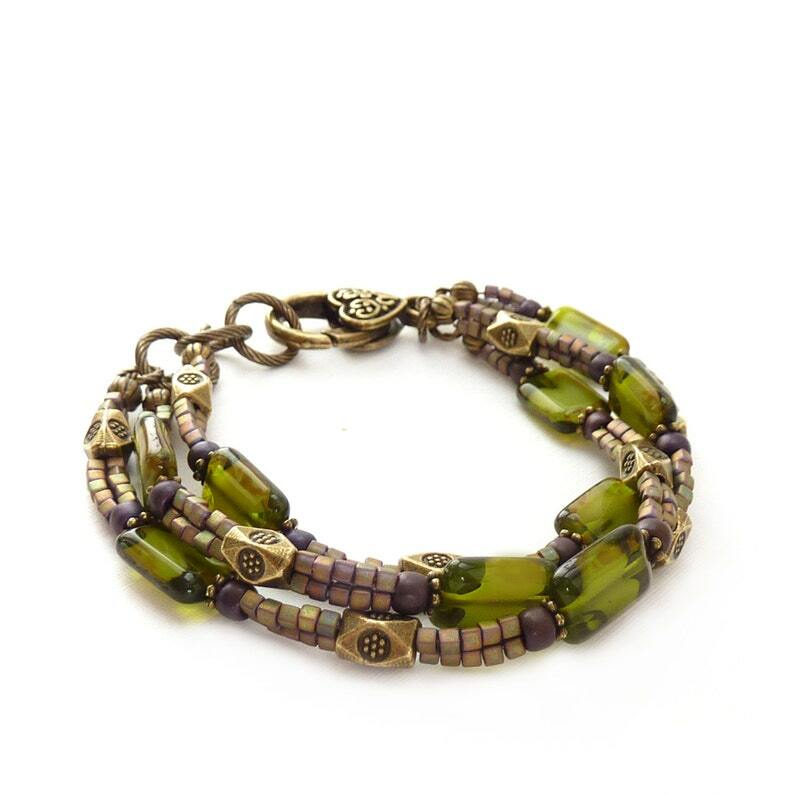 I used Czech glass rectangle beads in an exceptional shade of olive green and added small metallic seed bead cubes that have a wonderful shimmer. Detailed bronze spacer beads compliment the colors and a chunky bronze lobster clasp ties it all together.